Engineering Plastics Melbourne by Industrial Plastic Solutions. 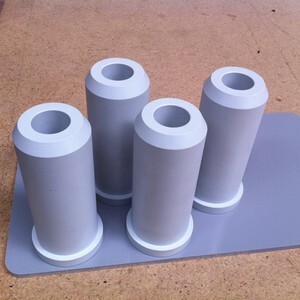 IPS supply a variety of Engineering Plastics for use by our varied customers Australia wide. Engineering Plastics offer far better mechanical and thermal properties than the normal common plastics. IPS understand our clients come from diverse industries, which is why we supply products that incorporate a wide variety of engineering plastics chosen to suit your individual & specific needs. Engineering Plastics have replaced older materials such as metal or wood in most applications offering far superior properties such as thermal and superior co-efficient of friction. We also have many other high end advanced Engineering Plastics. When you need Engineering Plastics, contact us and let us assist you with determining which one of our plastics will work best for you. We are dedicated to providing our clients with the materials they need to perform efficiently and effectively. So let us start working with you today to deliver the products you need for your particular industry. Industrial Plastic Solutions offers Engineering Plastic Machining Services. Ranging from Cnc Machining of large or minimum order quantities, we are happy to answer all inquiries. Our dedicated staff having 20 years experience in the Plastic Industry will only be too happy to take your orders. Please call us for a free quote (03) 9798 1153.